WE don’t just put a sign in front of your home...WE put your home in front of the world. Being creative, positive, fun, and honest is at the heart of our mission to earn your business. 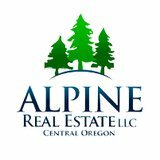 Alpine offers an extensive World Wide Web exposure through more than 40 active real estate websites, MLS, and custom property websites. We offer and excel in providing the finest in professional real estate photography and individual custom website design when marketing your property. Keeping your property appearing "fresh" in the marketplace, and in front of as many potential buyers and brokers every day is our goal. Offering subtle but regular changes in pictures, wording, and and flyers is one of the many ways we strive to win for you. Planning special events for the local brokers and buyers, in addition to regular open house dates; is another way we strive to grow exposure to your property. Our Tuesday morning Broker Tours are known for drawing bigger crowds than the others. We do this by making your tour day extraordinary by comparison to the other properties on tour that day. Cooking up custom omelets, prize drawings, and regular donations (by Alpine) per guest in attendance to local charities. We also plan evening events that encompass live music, food and beverages, and themes to help promote your property. When you list your property with The Alpine Real Estate Team, you put yourself in the capable hands of a highly regarded hometown agency with a thorough knowledge of the local market. Our Brokers are experienced in not only drafting purchase and sales agreements; but in helping you negotiate the best possible terms and price. Every single day, Alpine Brokers work toward bringing buyers and sellers together. In addition to our unique style of marketing,we also match your property with our buyer contacts & their contacts to keep you seen by as many prospective buyers as possible. your property in front of the world. If you are selling property or offering it for lease, and sign a listing agreement with a REALTOR®, then the REALTOR® and his or her brokerage firm become your agent and you are their client. Salespersons for other companies who are cooperating with the listing company and showing it to prospective buyers or tenants may also be your agents. Their goal is to seek a transaction on terms acceptable to you, and they owe you the standard agent duties outlined above. A seller's representative can still provide valuable services to customers - showing property, preparing and presenting any offers and counteroffers, comparing financing alternatives, and disclosing known adverse material facts about the condition of the property. All agents in a transaction must be truthful with all parties, but the seller representative's highest duty is to the client. Prospective buyers and tenants have realized in recent years that they may want to have a REALTOR® of their own representing them in a transaction. They do this by forming their own brokerage relationship, usually by written agreement, with a REALTOR® who becomes their agent and owes them the duties of a standard agent. A representative for the prospective buyer or tenant can freely advise the buyer-client about all aspects of the property. A seller dealing with a buyer's agent should remember that in this relationship, the seller is the customer and the REALTOR® is working for the buyer. In many cases, the listing agent will share the commission with the buyer's representative, but that doesn't diminish the buyer representative's obligation to the buyer. This happens when a buyer or tenant client of a real estate company wants to buy or rent one of the company's listings. Even if different REALTORS® are working with the different clients, their dual loyalties are created through their company, which has legal and contractual obligations to both clients.